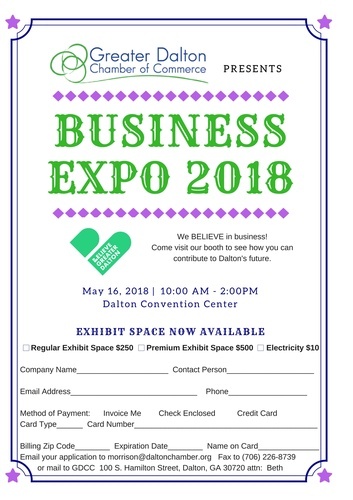 Join us for the largest business to business networking event in Northwest Georgia. This day puts you in front of 100+ other businesses in our area, plus 700-900 attendees. ​Exhibitor move in begins on May 15th at 1pm. 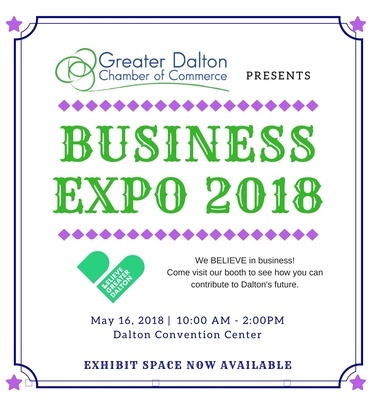 Call Beth Morrison or email morrison@daltonchamber.org with any questions.